The cervical epidural steroid injection is used as a pain relief treatment for various conditions including headaches, neck and arm pain. 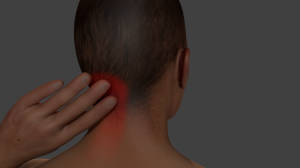 Pain usually comes as a result of complications in the cervical discs which are located in between the spinal vertebra.This may include a herniated cervical disc or spinal stenosis. The pain may also be spinal related. The main aim of the injection is to alleviate pain and restore the patient’s ability to function as normal. Sometimes, cervical epidural steroid injections can help you take less pain medication and even avoid surgery altogether. What Conditions Does The Injection Treat? This injection can be used to treat cervical spondylosis, cervical degenerative disc diseases, cervical spinal stenosis, cervical herniated nucleus pulposus, cervical radiculopathy, cervical dicogenic pain as well as post laminectomy syndrome. Usually more conservative measures are taken for pain relief before using this form of therapy and these include neuropathic or anti-inflammatory medication, rest and ice. Phoenix workers compensation doctors at Arizona IMA are experts in these treatments along with medication management. What Medication Is Used In Cervical Epidural Injection? Various types of medication are used in the injection and the most common are Betamethosone and Dexamethasone steroids. Corticosteroids are used to decrease inflammation and work incredibly well to reduce pain. 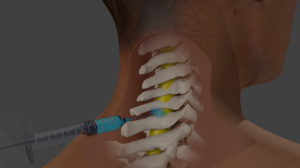 What Is The Procedure For Administering The Cervical Epidural Steroid Injection? 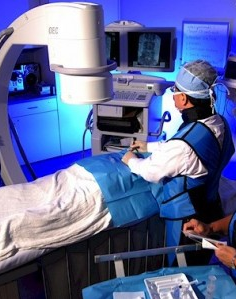 This is an outpatient procedure and usually takes about 20 minutes. It’s performed under sterile conditions and an antiseptic will be used to sanitize the injection area before using an x-ray to identify the ideal injection spot. A local anesthetic is used to numb the skin before the needle is inserted into the epidural space. The x-ray machine (fluoroscopy) is then used to confirm that the needle is in the right place before administering the medication. Once the medication is fully administered, a band aid will be placed on the neck before being taken to the recovery room. 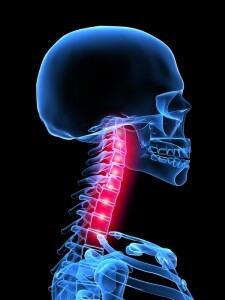 Many people feel some pressure in the neck and arms as the medication is injected. However, a numbing medicine is given to the patient before the cervical epidural steroid injection is given. The patient may feel a slight sting but this is usually a well tolerated injection. Usually you will not feel pain in the first few hours after the injection. However as the anesthesia wears off, your normal pain will return and you can expect gradual pain relief when the steroids start to take effect. This should occur within the next three to five days. What Should I Do After My Cervical Epidural Steroid Injection? It’s recommended that you rest and not return to work immediately after the injection. However, many people go to work as soon as the following day. If you were sedated, you should not go behind the wheel for at least eight hours and you need to arrange transportation from the hospital. You can also go on with your physiotherapy sessions as normal but inform your therapist of the injection. How Many Cervical Epidural Steroid Injections Do I Need? Usually, this therapy requires a series of three injections at two week intervals. That said; the number of injections could vary depending on your response to the medication. A different treatment course with your Workers Compensation doctor may be considered if no pain relief is realized. If the medication is successful after two treatments, you may not require additional treatment. Like any form of medication, there are side effects. Minor side effects will include a rash, itching, nausea, swearing and facial flushing. You may notice a mild increase in blood sugars for a day or two along with temporary water retention. Fifty to seventy five percent of those treated using cervical epidural steroid injections experience substantial pain relief. This can help a workmans compensation patient avoid surgery and get back to work.